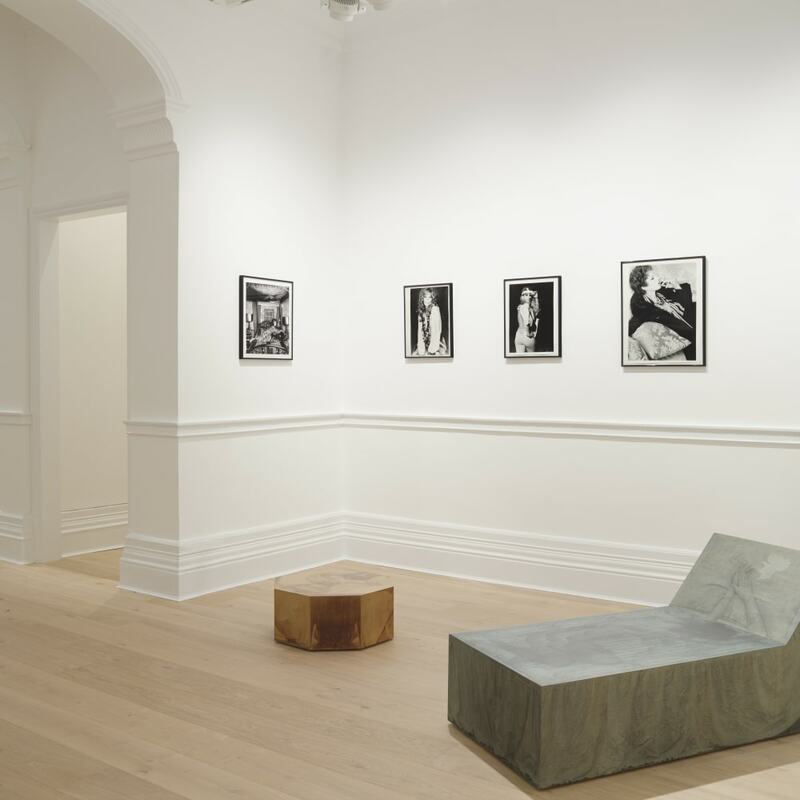 The group exhibition WOMEN LOOK AT WOMEN, curated by Paolo Ugolini, inaugurates Richard Saltoun Gallery's new space on 41 Dover Street. In 1974 Eleanor Antin staged a performance in the Californian surfer town Solana Beach, dressed in drag as her fictional character The King of Solana Beach. Wearing a full beard, her gender-binding alias tests preconceptions of male and female roles throughout history. In Men from The King of Solana Beach (1974) we even see 'His Majesty' taking a trip to [the men’s] bathroom. Renate Bertlmann’s Transformations (1969/2013) comprises 53 staged self-portraits, where Bertlmann transforms into different female character types; the free spirit, the demure girl, the mad eccentric, and so forth. Posing for the camera, she performs 'femininity' in its many guises, playing a game of seduction with her viewer, whilst staying in full control.